This is earbuds for IE80 S Noise Reducing Earphones, with 6 month warrant for any quality issue. ‘Comfortable’ is the right word to describe the sound quality. The IE 80 S earphones are super-glossy, full-bodied and weighty, with Lane 8’s Clarify flowing entirely smoothly. There are no sharp edges here, just rich, fluid, rounded beats, with plenty of chunky bass even on the lowest bass setting. There’s plenty of detail on offer, even by the expectations encouraged by a $400+ price tag. 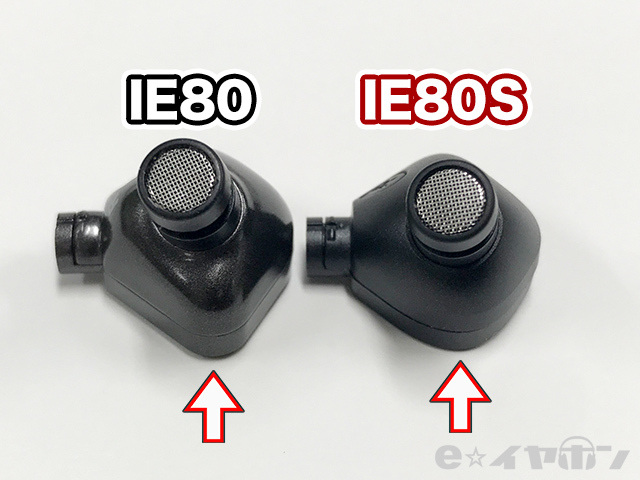 The IE80S is a more refined and an improved version of the IE80. It is less warm in the bass, clearer in the midrange and brighter in the treble. But it still maintains the same stage. The IE80 is warmer and looser in bass. It doesn’t have the definition and detail of the 80S. But the IE80’s bass has more authority. Once the IE80 is tape-modded, the bass quantity is reduced to the same level as the stock 80S. While the tape mod on the IE80 helps control the bass, it still doesn’t help get rid of the mushy and veiled mid-range. 80S is free of this mushiness and veil for the most part, as it is more resolving and transparent. Imagine taking IE80’s midrange and maintaining its laidback nature, but improving its clarity and resolution. That is exactly how the 80S sounds in the mid-range. So the vocals and the instruments in the mid-range sound clearer and have better presence. The treble is slightly brighter on the 80S, and it helps the IEM retrieve more details. 80S also has better treble extension which improves the overall technical capability of the IEM. In terms of staging, separation and imaging, both IEMs seem to have the same amount of space, but the 80S is a step forward in terms of background blackness, separation and imaging precision. To save your budget, we order from the ear bud ODM stock directly, so there is no original package or cable. We offer compatible cables with original connector and better quality. We reproduce the test by danawa.com using an IEC711 coupler and ARTA software, and offer you all the details to understand IE80S. This is the IE80S frequency response measured by danawa.com. where you can see IE80S has moderate latency on bass, very consistent latency in the mid.